Bode Bonner is the Republican governor of Texas. He has everything he ever wanted: money, power, influence. But something isn't right in his life - everything feels too settled and easy. He longs for one more moment of excitement, one more challenge. Lindsay Bonner is Bode's wife, and she's bored too. Bored of Bode's womanising, bored of the endless cocktail parties and receptions. She is desperate to break free of her bland, wealthy Texan lifestyle. And that moment comes when she saves a poor Hispanic boy's life. From that day on, nothing will be same for Bode and Lindsay Bonner. Their lives are about to change in ways they could never have predicted. 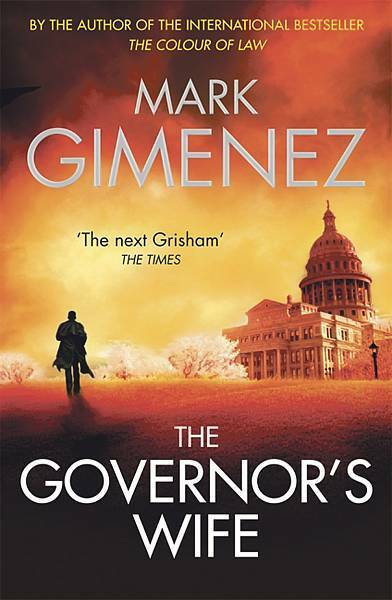 FL Speak - This is my first Gimenez book and I waited almost a month before picking it up. New authors always makes me do that. I hardly stray from my favorite ones. Nevertheless, I picked this one up and was pleasantly surprised. I liked it. I liked it so much that i finished it in 4 hours. Bode Bonner is the Governor of Texas. He's Republican and he has everything he always wanted. And that includes power, a trophy wife and money. But its not all peachy. Texas has a huge deficit. Something that Bode's team tells him not to worry about. Bode is unstoppable. He's the perfect Texan cowboy and the Democrats have no idea how to dethrone him. But his wife isn't happy. Lindsay knows her husband is sleeping with a 27 year old *whistles* and she is tired of being the blonde wife. She wants to be useful and her husband is tired of her whining. So when on a tour to the Mexican border she sees the condition of lives of the people stranded between Mexico and the U.S Border, she decides to act. But nothing will prepare her for the moment when she saves the life of a young boy, who turns out to be the son of the ruthless leader of the Mexican drug cartel, El Diablo. Away from the maddening crowd and the constant cameras, Lindsay has found her second home in the colonias treating for the weak under the local doctor, Jesse. Jesse, who is funny and is already falling for the Governor's wife. But when Bode, on a hunting expedition, comes across and young girl about to be raped by a couple of Mexicans, he shoots them down. Little did he know that one of the boys he killed was El Diablo's son. Riding the positive wave of applause and cheers for killing the Mexicans, Bode feels he needs one more excitement. He wants to challenge Obama for the Presidency. But a vengeful father stands in his way. A father, who controls the entire drug cartel of Mexico. A father, who has lost his son to Bode. A father, who is called El Diablo. And Bode's life is about to be turned upside down when his family are in the cross-hairs. With Lindsay refusing to return to Bode, it was only a matter of time before El Diablo found his wife. The question is what will Bode do now? Will he try to save her or let her new found love, Jesse rescue her. With his political campaign tottering at the edges, the Texan cowboy goes guns blazing inside Mexico. Phew! What an ending it was! This was one of the best books I've read this month. 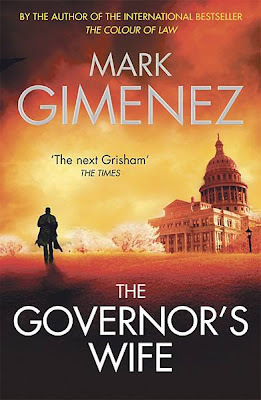 Oh yes, occasionally, I did get bored with the political hoopla around the book, but nevertheless, I like Mark Gimenez's style.